Choosing a career in nursing can offer a person many benefits. The role of a nurse is to care for people every day in their profession. They often find their work to be very satisfying on both a professional and personal level. Nursing offers a plethora of diverse opportunities to advance as well as providing job security. Also, nurses are paid very well given what they do on a daily basis. Want to become a professional registered nurse? Here’s an overview on the educational requirements you’ll need along with how to find job listings as well as some helpful tips on how to ace your interview. Registered nurses have to pass the NCLEX-RN (National Council Licensure Examination) upon completing an academic program in order to be licensed in their state. Also, registered nurses need adequate scientific ability to become proficient at the necessary science coursework and gain knowledge of the medical concepts that form the basis of nursing overall. They must have the ability to remember medical, pharmaceutical, and scientific terminology. Every nurse needs to have a deeply caring and sympathetic side to their character in order to successfully connect with their patients and to provide the necessary support that’s crucial for their recovery. Also, they have to do their job while staying somewhat emotionally distant and avoid becoming too attached to the patient on an emotional level. Patience is a key requirement to properly handle patients who react with strong emotions to their illness or circumstances or need to have important information repeated to them several times. Registered nurses need good communication skills to effectively convey complicated information in the simplest terms possible to their patients and to effectively interact with other hospital personnel. Critical thinking and problem solving skills are required to interpret developing information concerning the health status of their patients. Nurses in general need to be detail oriented and well organized in order to keep track of many patients. To get into a good nursing program, you’ll need to show that you’re very comfortable around injured or sick individuals. Volunteer at a nursing home or hospital in your area while you’re still in high school if you can. Getting a nurse’s aide certificate or working as a local paramedic are both ideal ways to gain experience in the field. • Seek different sites for specialized nursing opportunities. The quickest way to find different sites that have current listings for nursing jobs is to simply search ‘nursing job sites’ on Google. Also, look for job sites that have multiple listings from many different online sources such as ‘SimplyHired’ or ‘Indeed’ using keywords like ‘Registered Nurse’, ‘RN’, or just ‘nurse’ along with the location where you desire to work in order to produce more job leads. • Attend nursing workshops, conferences, or join nursing associations. Meet other nursing professionals by attending various conferences or workshops to help you get your foot in the door. Also, you can volunteer to help plan meetings in order to gain even more exposure to fellow nursing members. • Get involved with ‘Nursing Career Days’. If possible, attend your local ‘Nursing Career Days’ in your area or school. Ask about key alumni contacts in both the healthcare and nursing fields. Get in touch with these groups of people for general career advice and to get a viewpoint on your job hunt and potential nursing career. Contact previous employers, faculty, clinical supervisors, friends, and family members in order to get good referrals for consultations. Use NurseFinders.com if you’re looking for a per diem or temporary position. 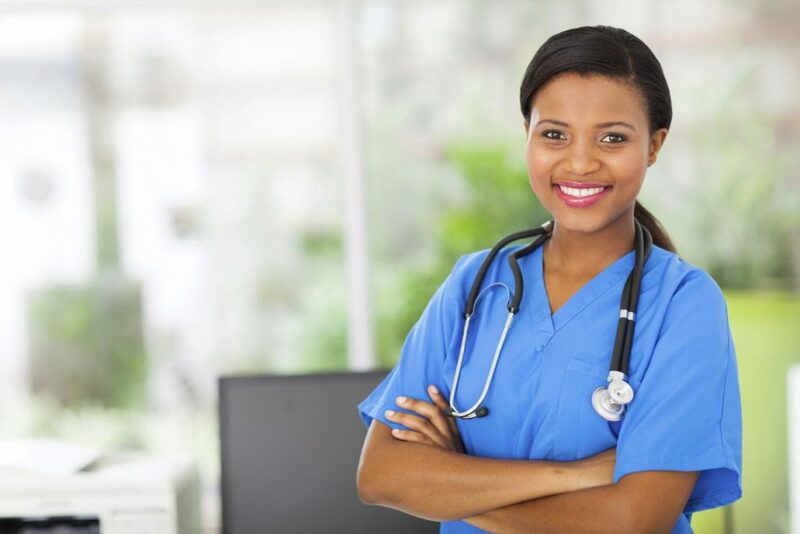 It’s crucial for nursing candidates to show their interviewers that they’re perfect for the position by illustrating that they have the ideal personal qualities and set of clinical skills to handle a high-demanding nursing job. You may be asked to show a list of your professional clinical skills and examples of specific situations where you demonstrated those key skills. You may be asked about certain problems and challenges you met or solved within the context of good patient care. Be prepared to share some patient scenarios in detail whereby you intervened concerning different cases or difficult patients in order to achieve a good outcome. Nurses have to be willing to be a part of a team and also get along well with people with demanding personalities. Your interviewer will likely ask you how you deal with difficult patients, colleagues, and other staff members. Furthermore, you’ll also need to convince your potential employer that you’re fully aware of your weaker points and are willingly to take the necessary steps to improve your overall performance. Practice how you will respond to an average nursing interview with friends, family, advisors, or other faculty so you’ll be better prepared for a real interview.